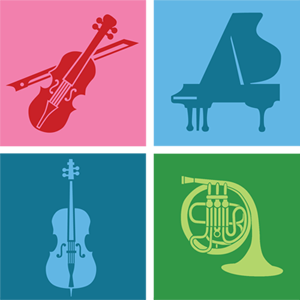 The Pittsburgh Concert Society (PCS) promotes the finest Pittsburgh based classical musicians, all selected by adjudicators of national stature, providing each winner with a formal recital opportunity as well as a financial award. Founded in 1943, the PCS is a non-profit, equal opportunity organization. All artists appearing on the PCS programs must live within a 75-mile radius of Pittsburgh. To insure fairness and impartiality of the selection process, PCS auditions are adjudicated by invited musicians from outside the Pittsburgh area. The PCS is proud of its history and its contribution to the arts in the Pittsburgh area. It is an organization of dedicated officers and board members, all volunteers, consistently working to maintain the highest possible level of talent in their concert presentations. The Major Auditions, held each spring, are judged by nationally known adjudicators, including deans and faculty of leading schools of music. Candidates audition anonymously and are judged solely on the level of their performance and the quality of their program. Six Major winners are presented in three concerts, generally during September, October, and November. Major Auditions are open to all candidates who are eighteen (18) years or older who meet the PCS program and living area requirements. Each winner receives an award of $1000 from the William and Eleanor Benswanger Memorial Fund of The Pittsburgh Foundation. The Young Artists Auditions are held in March and are also judged by nationally known adjudicators. Instrumentalists must be under the age of 19, vocalists under 22 by June 30 of the audition year, and must live within a 75-mile radius of Pittsburgh. Young Artists Winners are presented in concerts, in March and April. Each winner of the Young Artists Auditions receives a $500 award from the Benjamin and Anna Perlow Scholarships Fund of The Pittsburgh Foundation, designated for the furtherance of his/her music studies. The annual June Alumni Concert features "return performances" by former Pittsburgh Concert Society winners who have achieved distinguished careers in the field of music. In addition to its formal concert activity, the Pittsburgh Concert Society reaches out into the community. Outstanding artists are invited to perform in venues throughout the city, with a special emphasis on reaching young people. These performances are arranged by the officers of the Society, working in close collaboration with organizations such as the Children's Museum, Chamber Music Pittsburgh, The Saturday Light Brigade, The Johnstown Concert Series, the Tiffany Concert Series, assisted living communities, Pittsburgh and suburban school districts, colleges, and other local arts organizations. The PCS outreach program is made possible in part by a generous grant from the Piston Family Foundation. The PCS Homer Wickline and Conrad Seamen Grants are awarded annually and are designated to provide financial assistance to instrumentalists and vocalists, individuals or groups, in the classical field, who are working to further their careers or their performance opportunities.